Genuine Dell 90W USB-C chargers with USB type C connector and is the 90w version, so with USB type C technology it will automatically charge at the power rating needed for your model of Dell laptop, notebook, Ultrabook or tablet computer, with ranges of 5V, 9V, 15V and 20V. This original Dell 90W USB-C charger will also be supplied with a power cord. 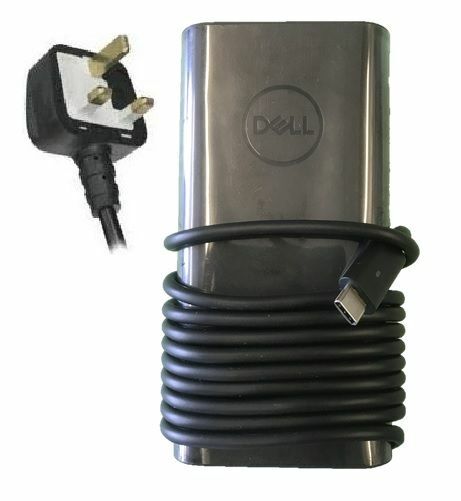 The Dell 90W USB-C charger includes battery charging ac adapter unit and mains power cable plug, however if you order from outside the UK we will send your countries correct power cord.